March: Global Release of Clash Royale! That’s right, Clash Royale will be the first Supercell game to go global since Boom Beach in 2013! It’s a great game in my opinion and I super excited to bring you guys some awesome post relating to Clash Royale after it goes global! 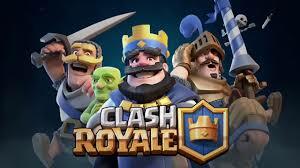 So when is Clash Royale coming out?? ← Did the Treasury Update Fix Clash of Clans? Pingback: March: Global Release of Clash Royale! | Clash of Clans Guide, Strategies, Tricks and More!